We’re only two days away from revealing the new Spring/Summer 2013 cover! 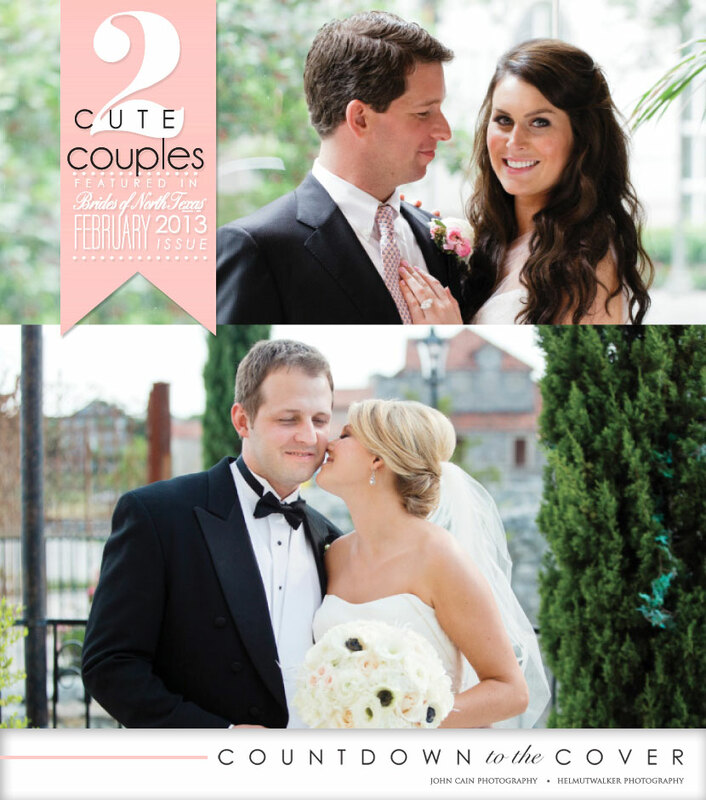 While we wait, we thought we’d share just a couple of oh-so-cute North Texas couples! These adorable newly-wed couples are sharing their gorgeous weddings with us along with dozens of other fabulous Texas couples in the upcoming issue! We are so thankful for all of the amazing weddings and engagements we have the privilege of sharing! Cheers! Photos by John Cain Photography (top) and Helmutwalker Photography (bottom). Can’t wait to get your hands on the new Spring/Summer 2013 issue? Pre-order your copy today!